Soothsayer: Who is this that says that? Camdoc: International intel team, bankers, traders, etc. [millionday] Ministry of Commerce revealed preparations for Iraq to enter into the third round of negotiations for joining the World Trade Organization, while suggesting a meeting to discuss customs tariffs in order to complete the accession process. The ministry said in a statement received which was held at the ministry's headquarters meeting of the Committee on Trade in Goods and chaired by Hashim Mohammed Hatem Director General of the Department of Foreign Economic Relations in the Ministry and deputy head of the National Commission on Iraq's accession to the World Trade Organization. [millionday] MP for the coalition of state law Salman al-Moussawi, on Thursday, for the coalition to reach agreement with the Kurds on the Law of the federal budget, And while noting that the position of the last change at the last minute, said that the law will pass in spite of political differences. [millionday] Moussawi said for "tomorrow's Press," said that "some political blocs are provoking a coalition of state law concerning the delay in approving the federal budget for the current year," noting that he "refuses to extortion. He added that "the law will pass in spite of political differences, rejected," revealing that "the rule of law to reach a deal with the Kurds on the budget, but that the position of the last change at the last minute. The I.Q.D. 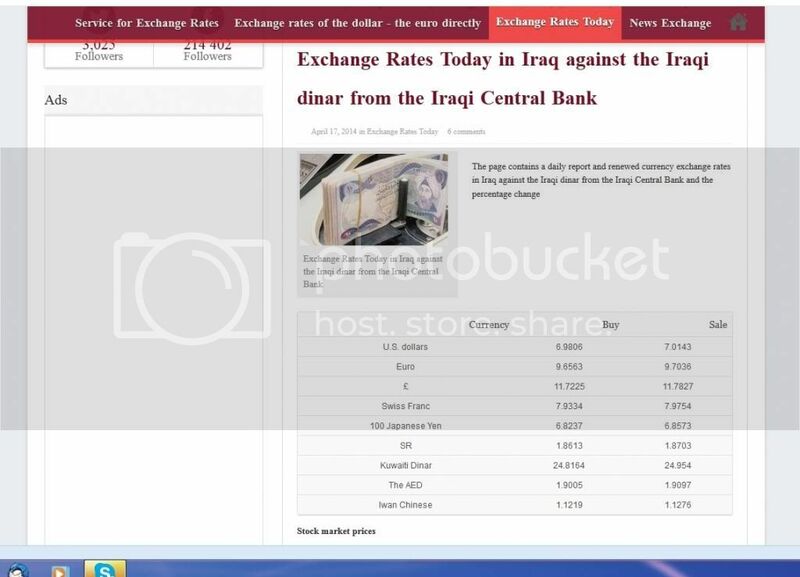 Team Connection~~Conf Call Replay~~Thur April 17~~Latest Iraq Dinar RV News~~Its All Good!! [tlm724] if they would get their sh.. together they wouldn't be in this position, just sayin..
RockyMntLady: Just a thought - bank crowd control: most banks close early today becuase of the holiday - some will be closed Monday also --- maybe a good time to get us all in without having to deal with regular customers gawking at us? DKB: Although it's not a federal holiday, it is recognized as a state holiday in the following states: Connecticut, Delaware, Florida, Guam, Hawaii, Indiana, Kentucky, Louisiana, New Jersey, North Carolina, North Dakota, Ohio, Puerto Rico, Tennessee, Texas and U.S. Virgin Islands. [Donnac] Got to share my dream...took a big wood chest to the bank filled with dinar. Said I wanted to make a deposit & they got the bank mgr. It had not revalued but I assured her to keep it there because it was happening over the weekend. They kept it in front of the teller window and made a work area on top. and according to this if its the way im thinking, showing the us dollar 6.99 buy and 7 sell so........ would mean about 7 bucks per dinar? I sure hope thats right!!! Idk? i could be wrong but i sure hope thats right! lol come on RV!!! anyways thought id share..this may be nothing, but might be something? who knows?! sure looks hopefull? Today in my southern Bavaria village we prepared for annual event called Maibaum. This event for us happens on weekend Mai 3-4 this year (weekend of Pentacost Sunday). I wish all of you fine dinarians could attend and meet all peoples of the village. We could sing and dance together. In this event we use the large pole as a maypole, a tall wooden pole erected and brightly decorated. Ours will stay erected all year until next seasonal event when we replace it. As it is finally erected the adults and children follow with a traditional dance using ribbons. This dance is complex and it is not good when ribbons get tangled. As a matter of fact it is shameful and disrespectful to our past fathers who carried down this medieval pagan now Christian tradition since 1600's. After the dance we will celebrate with lots of foods and beer. Hugh April 16, 2014 at 11:13 pm Instead of a snake, I sense rodents; smelly, lice afflicted rats and scores of them. I suspect that the entire world's economies are being purposely set up to fail. I'm no expert in these economic matters, but from where I sit it doesn't add up. We hear from independent sources that the Chinese economy is overheating, staring at an economic meltdown as a result of a zealous addiction to the printing press much like their partners in crime on this side of the rock, the G7 and it's hydra titular head the USSA. Apparently, gold is not the only thing that has been moving west to east; we can safely conclude that real 'money power' has successfully exported their strong compulsion to create fiat currency out of thin air to their eastern comrades as well. Dinar Recaps is once again having issues with our Secondary Email list company. Tonight's email has not started to run. CLICK HERE for Thursday's 10pm (ET) Newsletter. 4-17-14 Stryker: HCL? I think so! Below is my response to a question by Susan. She asked about my true intentions and the possibility of selling false hope. Of course it was done through a point of honest and productive debate, which I appreciate. I felt it was best to also make the reply available as a post. There are a multitude of manufactured fear inducing memes and the granddaddy of them all is the concept of death and dying. Bearing a time stamp that eerily parallels the introduction of formalized religions, the self-appointed leaders or priests cleverly instilled and then promoted a false narrative of man's mortality essentially rendering him subservient to their demands out of fear of the unknown. [..OKIEOILMAN] GOOD THURSDAY EVENING AMERICA, SHIPS AT SEA AND ALL OUR WORLD WIDE FRIENDS. WHILE SOME INTEL GATHERERS HAS BEEN FOLLOWING CLOSELY THE HAPPENING IN IRAQ I HAVE STATED ON SEVERAL OCCASIONS THAT WHILE OF HISTORICAL SIGNIFICANCE IT DID NOT HAVE NEAR THE IMPORTANT IMPLICATIONS ON THE R/V AS THEY HAVE FELT IT COULD. THE DELAY HAS ABSOLUTELY NO RELEVANCE TO IRAQ AND WHAT IS GOING ON IN REGARDS TO THEIR POLITICAL SYSTEM OF THE ELECTIONS OR THEIR PASSING OF NECESSARY LAWS-ETC-ETC-ETC. WHAT HAS BEEN THE RESTRICTING FACTOR IN ESSENCE IS MORE ON A GLOBAL NATURE RATHER THAN THE COUNTRY THE GCR IS SUPPOSED CONNECTED TOO. PassionBee: Chase Bank: I went to a chase bank in Texas today to speak with a wealth manager. They told me that they did not have a wealth manager at that location, but they will have one to come to that location and speak with me. I told them I am coming into an inheritance and was told to speak to a wealth manager. They wanted to hook me up with a financial advisor but I told them a wealth manager. They ask me how much are we talking about. I told them I didn't know for sure yet. I ask the manager whom I was speaking with if she was aware of the foreign currency revaluation and she said yes and their bank is one that will be doing exchanges. She also said that since they work for the bank that they couldn't buy any currencies because they know when currencies goes up and down and it is illegal for them to purchase any currencies. Dinar Recaps is once again having issues with our Secondary Email list company. Tonight's email has not started to run, and the company is backed up. CLICK HERE for Thursday's 6pm (ET) Newsletter.